- Secular Virgin and Martyr. - Feast Day: August 11th. 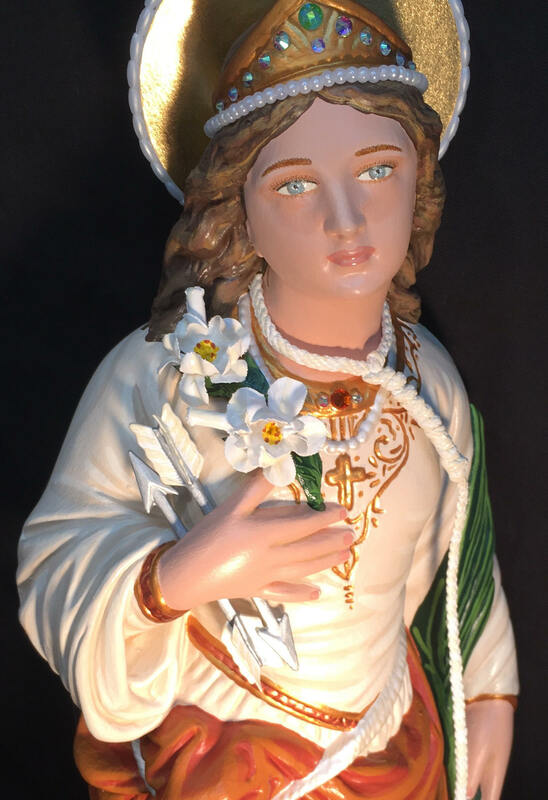 This lovely statue features a heavenly hand painted face and details such as fingernails and eyelashes, hand-made arrows indicating one of her tortures, hand-made lily indicating her virginity, real rope around neck connected to anchor indicating one of her tortures, golden halo, hand panted gold detail, and jeweled tiara. 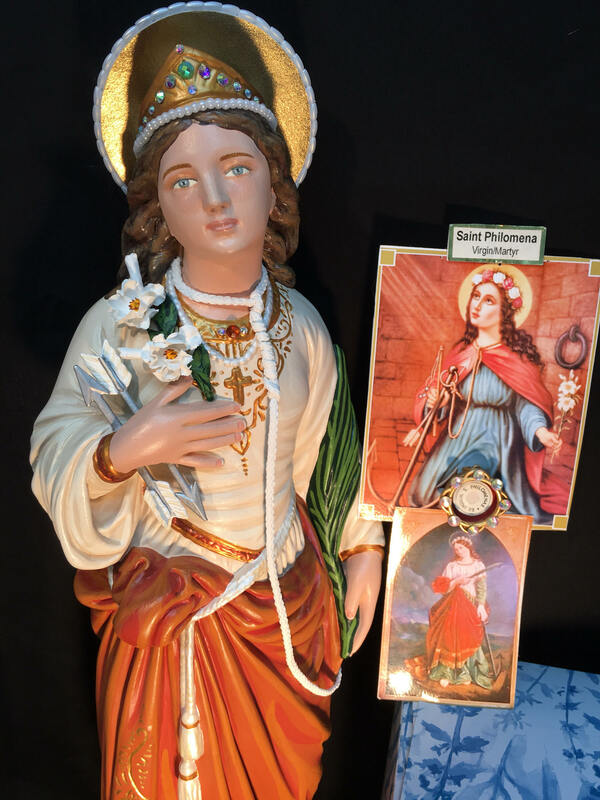 We will also touch your finished statue to a second class relic of St. Philomena. A+ ALL AROUND! TOO BEAUTIFUL! St. Philomena arrived looking beautiful. Such a work of art! Worth every penny, and then some. Statue is BEAUTIFUL. Very happy with her. Seller did a good job, work is quality! Would definitely buy from them again. Price was very fair, and worth every penny! Packaging was great, no damage from shipping.